This year at Frieze Art Fair we've noticed a distinct trend to show masks. 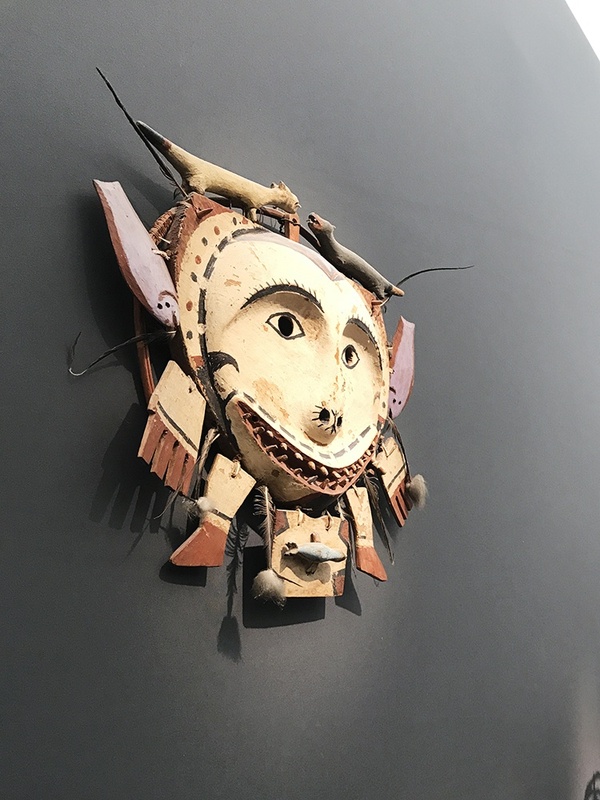 From tribal masks to post-war bronze sculptures, the varied array of ways masks can be incorporated into works of art can be seen all over the fair. 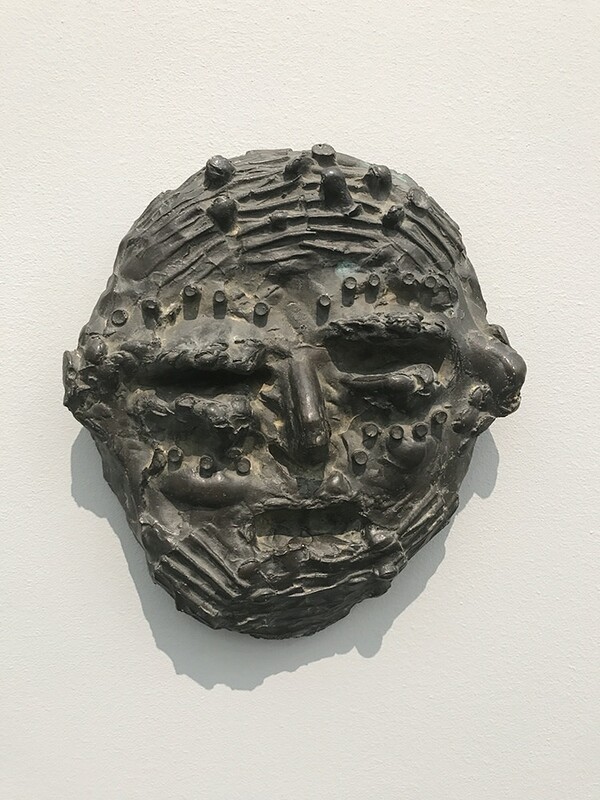 Over at Marlborough Gallery, William Turnbull and his bronze Mask (1953), injects a post-war British gaze into the trend. 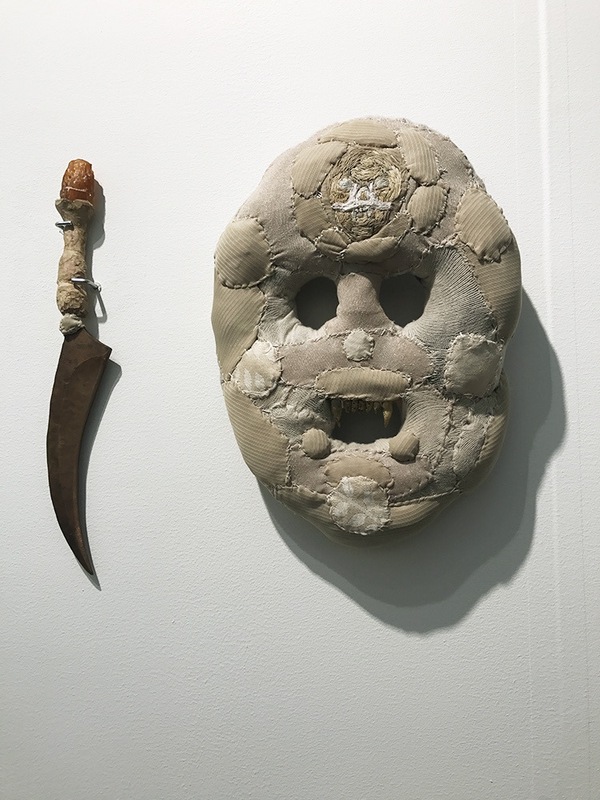 Masks by Russian artist Evgeny Antufiev were shown by Emalin Gallery. The masks provide a modern contemporary take on the trend and rely on texture and details to evoke the emotions the artist wished to convey. Tribal masks also found a place at this year's fair. 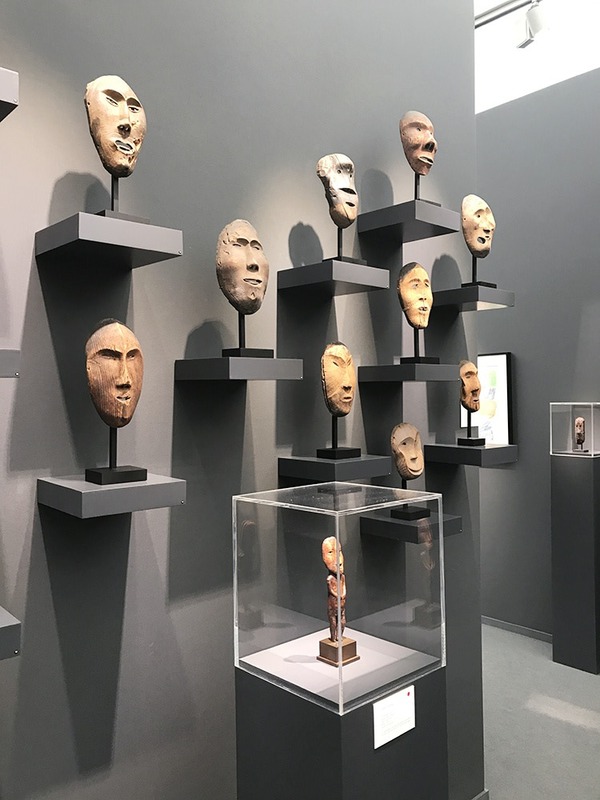 From simple collections of wooden masks to the larger, more intricate and colourful mask, such as the ones exhibited by Donald Ellis Gallery. The masks come in all shapes and sizes. The Clearing Gallery took their turn with the trend to a massive place. No matter where you are at Frieze this week, you're guaranteed to run into at least a few masks this year. 1:54 Contemporary African Art Fair also has an incredible selection of masks on show. 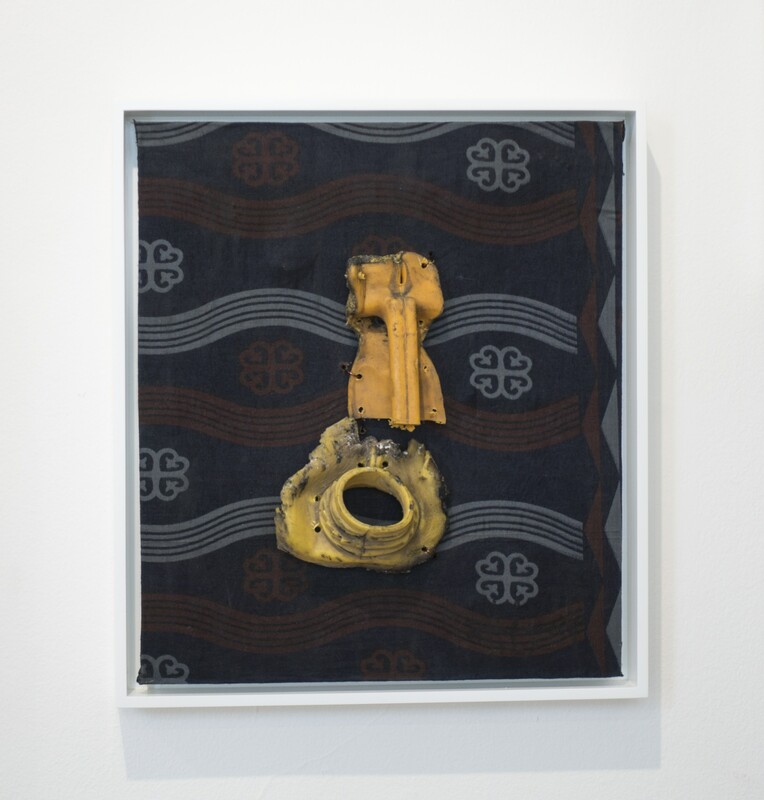 Gallery 1957 exhibits work by the Ghanian artist Serge Attukwei Clottey.